Archive by category "Pet ownership"
The perpetual debate of whether pets must be allowed in apartment complexes, or not, has made us realise that the need for a clear understanding of the situation is at an all-time high (especially before we jump to conclusions about the rights and wrongs). 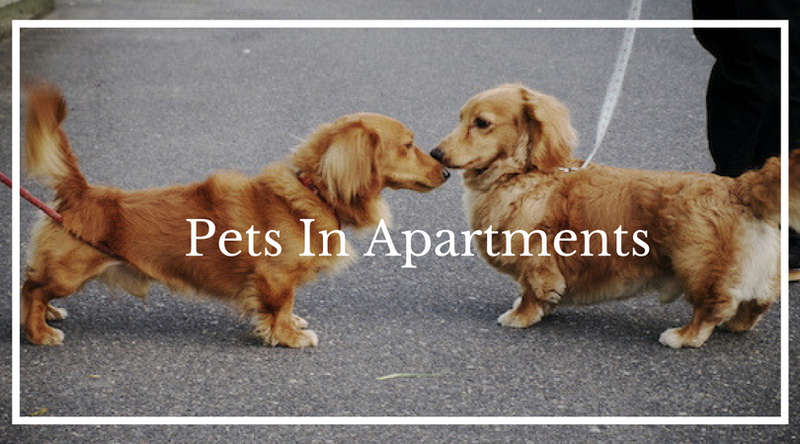 The idea of breeding pets in apartments is welcomed by a lot of people. Animal lovers will do anything for their furry friends. But they are also considered a hindrance by many. Pet related activities are disapproved, and even opposed. Often, there is no second thought given to the fact that species other than humans need a place to live as well. And considering we’ve occupied most of the area a domestic animal needs to reside in, we humans need to be a bit more open-minded about such sensitive decisions. As a lot of us know, local authorities are popping up rules and regulations, in the form of circulars regarding pet animals. These circulars contain over-hyped ‘vital’ information about whether or not they can be allowed to live with their human caretakers. But some pet enthusiasts don’t realise that as per the Parliament, or any State Legislature, there is no law enacted that bans animal friends. The most any of these groups can do is insist on registration and licencing of pets. They, often than not, are torn between choosing from among the home and their beloved animal companion. This should not be the case. It violates the fundamental freedom of being a citizen of this country. Banning pets on society premises. ‘Dog barking’ being cited as a valid reason to impose a ban. Forced usage of muzzles and leashes (on calm pets). No bans can be imposed on usage of facilities (like lifts and parks) by pets. RWAs cannot impose any extra charges for this, as well. Rules like these result in service quality of the society’s provisions turning low. But, it must be kept in mind that these objections have risen due to certain behaviours of pet animals that have inconvenienced people in some way or another in the past. Pet owners must come forward and offer to adhere to simple, implicit rules and mannerisms by themselves. This won’t even let the problem of notices and circulars arise in the first place. It is eventually the landlord/society’s job to rightly recognise responsible pet people. In conclusion, to get rid of these issues in a sure-shot way, the society representatives and pet owners, both parties, must organise regular meetings and address the issues each of them face, and meet each other halfway. Non-pet owners must be sympathetic and flexible towards pets and their owners, and the latter must take precautions to ensure that there are no discrepancies regarding their co-ordination with approved and disapproved behaviours. I’m tired of the fights. Let’s just talk it out, please. Come on. How can you say no to that face! Got you there, didn’t we? What are all of them looking at anyway? And cheers to good decisions!